How Scary are Second Mortgages? These days, taking out a second mortgage has become negatively connotated. But, what exactly are the pitfalls to taking a second mortgage? Second mortgages allow you to not take out a personal loan, but instead tie an installment loan to the property, leveraging your home further with another lien. 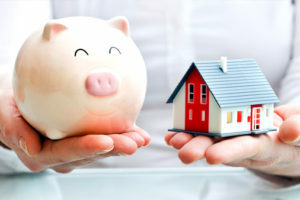 Another benefit to second mortgages is that the interest is also normally tax deductible. So what is the negative? The risk of taking on another loan with your home as collateral is the risk that you won’t be able to repay the debt, and risk a foreclosure. Also, there are the obvious unwanted additional monthly payments and potentially prolong the time it would take to pay off that first mortgage. Furthermore, Interest rates on second mortgages are typically higher in comparison to first mortgages. For that reason, many people take hesitation when considering a second mortgage. You could pay less by having one mortgage, or possibly even by paying mortgage insurance. There are pros and cons to deciding whether or not to have a second mortgage, but it is ultimately up to you the buyer to see which would be most beneficial to your needs and circumstance. If you need a fast loan, Refresh Funding can provide Florida-based loans for individuals seeking rehab loans for fix-and-flips. Refresh offers fix and flip rates starting at 9.99% for a 12 month term or rental loan rates starting at 7.99% for 36 month terms. We like to think of ourselves as your choice for Private Mortgage Funding & Lending.